One of my favorite people on the planet is Terry Ouzts and if you’ve met her you know why. She is kindness and motherhood personified. She is generous and gentle and can pray down the sky. And if you’ve known her long enough you’ve probably had more than one of her warm shepherd’s pies delivered to your house. She probably rocked your new baby and read to your kids while you ate it. Every time I make Shepherd’s Pie I think of her. Good food is like that. It makes you think of sweet things. 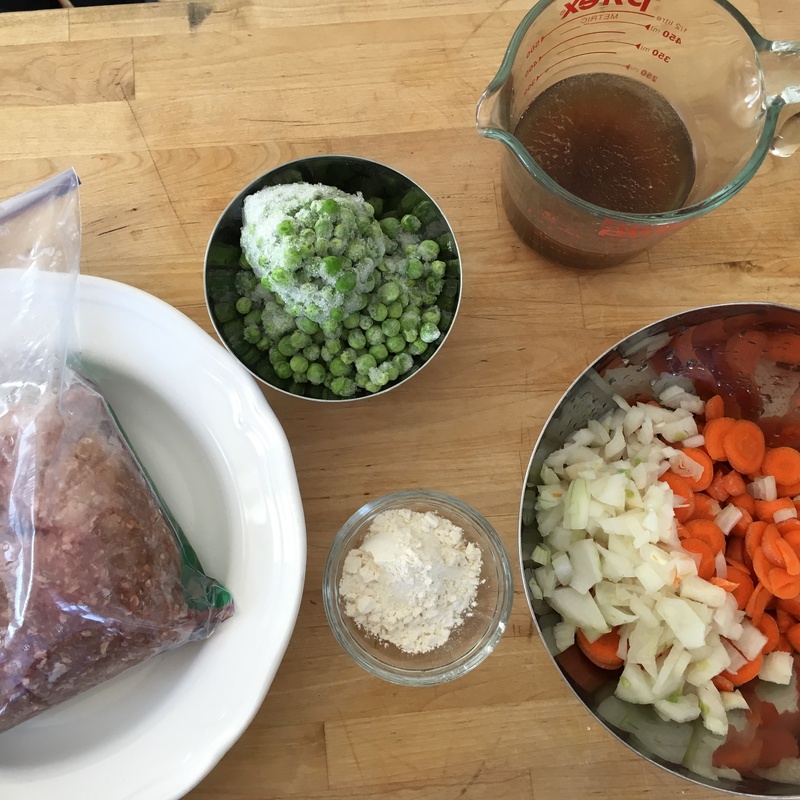 This recipe I take from my go-to cook book by Mary Ostyn, Family Feasts for $75 a week. There is one I like better from my America’s Test Kitchen cookbook because it has all kinds of flavor thanks to the inclusion of ruby port. But booze really isn’t in my grocery budget these days and as my family grows my need to keep my budget in check grows as well. Place potatoes in a large saucepan; cover generously with salted water. 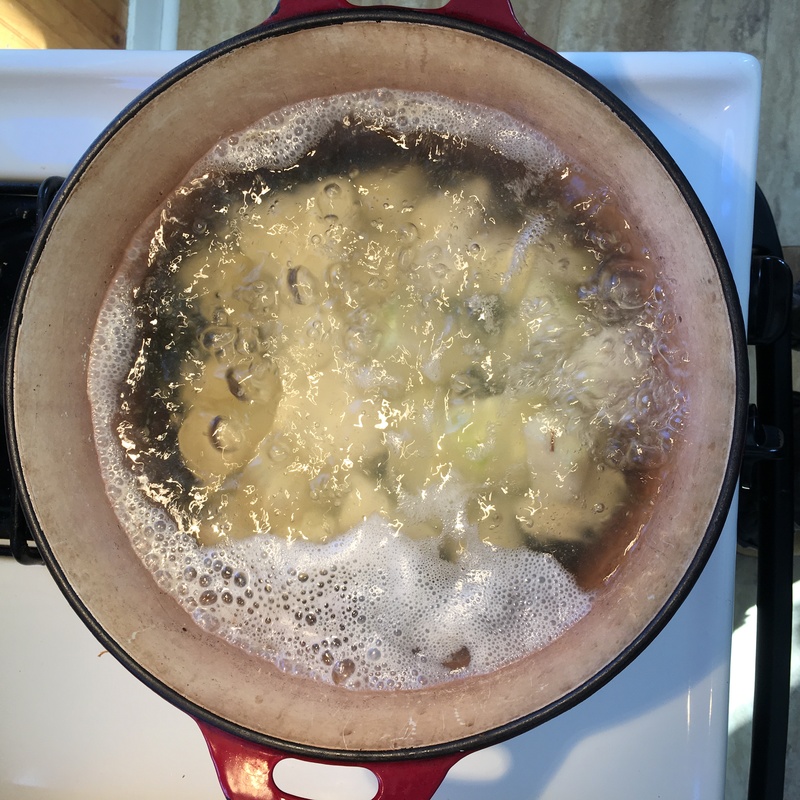 Bring to a boil and continue to boil until potatoes are fork-tender, about 15 minutes. Drain off water. While potatoes boil, preheat a large skillet over medium-high heat until hot. Add ground beef, and cook until all the pink is gone, breaking it up into small pieces with the side of a spoon. Season with salt and pepper. Add carrots and onion; cook for 5 more minutes, stirring frequently. 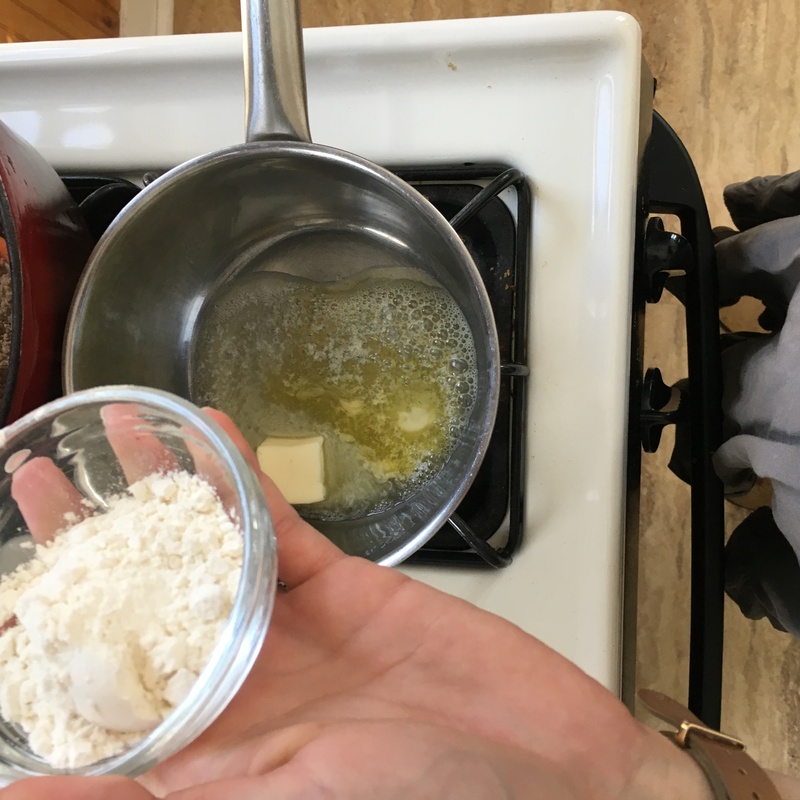 Melt butter in a small skillet over medium heat. Whisk in flour until smooth. 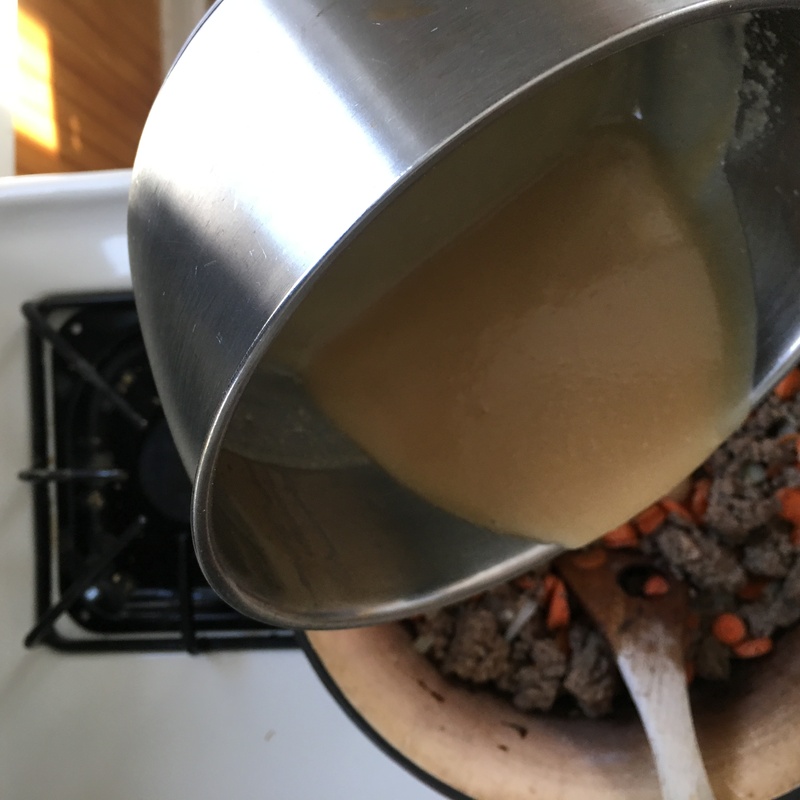 Whisk in broth and Worcestershire; cook, stirring, until mixture thickens. 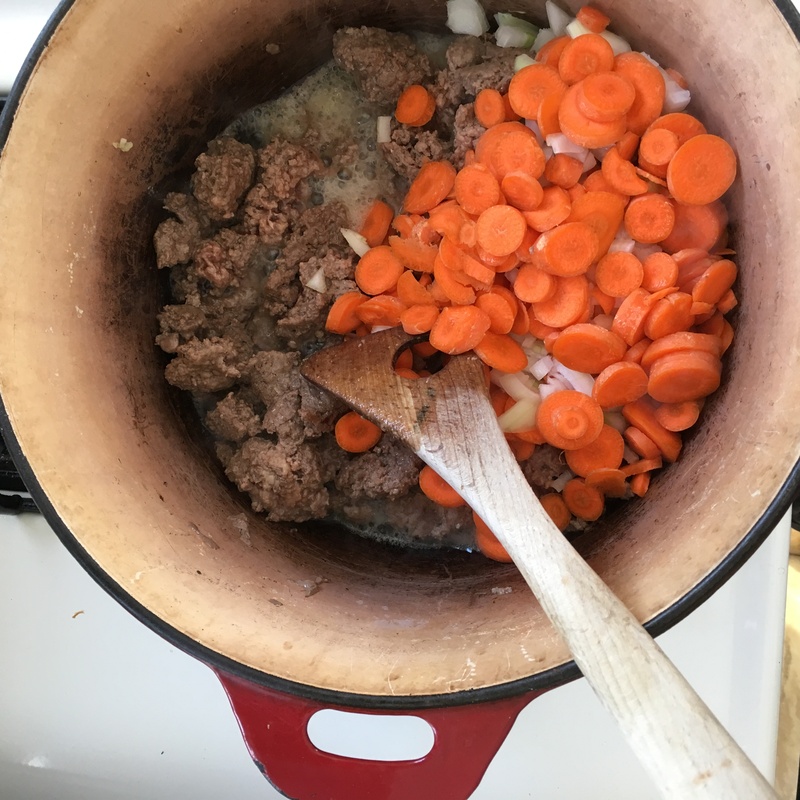 Add gravy to the skillet with the meat and vegetables. Stir in peas and corn; cook until heated through, about 5 minutes. In a small bowl, combine sour cream, egg, milk, salt, and pepper; whisk until well combined. Add sour cream mixture to potatoes; mash until well blended and potatoes are almost smooth. Pour meat mixture into prepared dish. Spoon potato mixture evenly over meat mixture. Sprinkle with paprika. Broil 6 to 8 inches away from heat until potatoes are evenly browned.